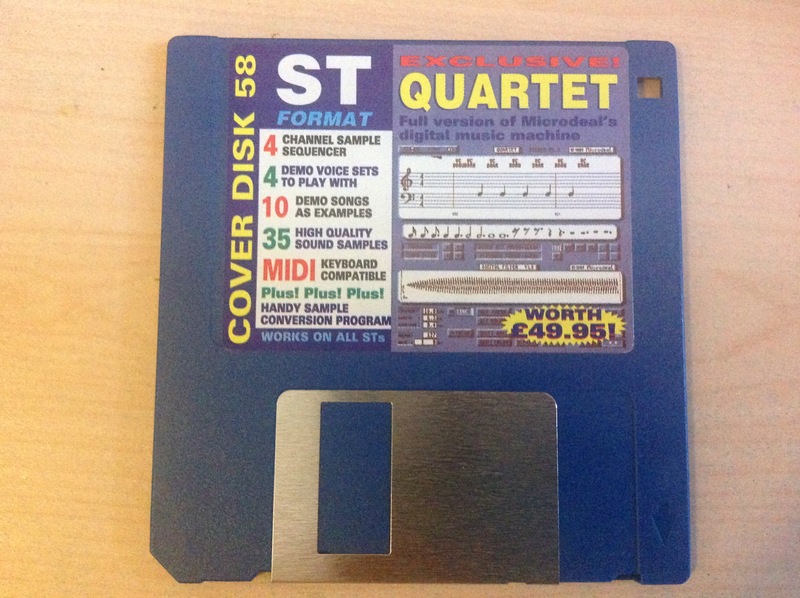 Back in June, I found a floppy with Quartet on it, a program I had never seen before but seemed interesting. I played around with it for a bit and created a nice little tune. It's quite simple, but I really like it myself, honestly! Nice. I knew of Quartet back in the late 80 or early 90s. Have always wanted to make some music with it as I saw one of my friends used it. It was amazing. unfortunately never did try it out. Ohh, that's retro for me. Started out with Quartet before I got into the MIDI world. Remember how many hours I spent editing samples. Yesterday, I decided to make another track, this time using the 3/4 time signature, as I had never done that before. It quickly turned out to be shaping into a tune with a much darker and more serious tone than the previous one, but I definitely didn't mind! For more information, check the video's description on YouTube. I also created .4Q files so that you can replay them on Windows with "Jam for Windows 2.2". Is it Atari ST or STE? STE. Why? Is there a difference?